Coopers Auto Repair Specialists in Tacoma, WA provides dependable engine repair. Our team of ASE Certified Technicians and Master Technicians will complete an engine diagnostic scan to find the precise location of the problem. Our shop is equipped with dealership quality state of the art diagnostic equipment and tools that allow our team to get you back on the road faster. If you are looking for a reliable auto repair shop that can not only maintain your vehicle but also fix major repairs when needed come to Cooper’s. Our technicians will inspect your vehicle and go over your options with you. We are a stress-free, no pressure environment, we promise to never sell you services your vehicle doesn’t need. We have built a strong customer basis on being honest, fair, helpful, and going the extra mile. Stop by and see why Cooper’s should be your new dealership alternative. Without timely maintenance and repair, your engine cannot perform the way it is designed to. An engine is a complex machine; that contains a system of complicated moving parts all working together to drive your car down the road. Today’s engines are far more complicated and rely heavily on your OBD system. Therefor, making cursory inspections redundant and will not help pin point the problem without a scanner. Our technicians are skilled at diagnostics, have the knowledge, and experience to handle any engine repair you may come across. Furthermore, our techs will help get you on an engine maintenance plan that will not only increase fuel efficiency but reduce unexpected breakdowns and repairs. Regular service and maintenance of belts, fluids, sparkplugs, oil changes and filters will help your engines overall performance and health. Engine maintenance and service doesn’t have to be painful. Bring your car to cooper’s in Tacoma or Puyallup and our team will perform dependable engine repair and get you back out on the road. 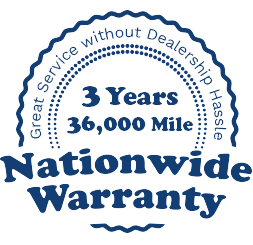 A 24-month / 24,000-mile warranty is available for all services. We have a comfortable waiting area and free local shuttle service as well. Call or schedule service online today!